In the 2000's, Bud Trayner Realty has emerged as one of Charlotte County's leading specialists in homes and vacant land. 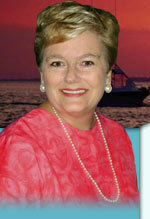 Bud Trayner Realty, PA, has been a successful, full service Real Estate company for 10 years. Broker Bud has been servicing his clients needs in Southwest Florida since 1997 and brings a vast amount of business experience and expertise to the company he founded. Trayner Realty is an independent brokerage and therefore can offer customers personalized service second to none...you are not a number at Bud Trayner Realty...but our new friend! Furthermore, there's no corporate bureaucracy here...we are flexible, warm, friendly, and strive to meet your needs. . Whether you be a Buyer, Seller, Renter, or have a need for a property manager or notary services, you will always find us accommodating and highly professional; hence, we say "Let us become your Neighborhood Realtor." Bud has serviced his customers' needs since 1997 and brings a vast amount of business experience and expertise to the Company he founded in 2000. Previously, Bud was in Property Management in CA and sold Real Estate in Phoenix for 7 years. Bud has resided in Charlotte County for 10 years (with wife Marge) and is highly respected by his customers and peers. Hence the slogan "Need a Friend in Real Estate? Call Your Buddy!" Bud specializes in bank owned and investment properties from Venice to Naples FL. Bud believes the property in SW Florida is a great value, whether investing or relocating here. Doing the job right, striving to provide the best services available, and insisting on a strict code of morals and ethics is what this Company is all about. Integrity is our password. As a result, Bud Trayner Realty has emerged as one of Charlotte County's leading specialists in homes and vacant land. Marge is Bud's spouse and business partner and has been with the firm since its inception, first serving as office manager. In September 2002 Marge earned her Real Estate license and has been tops in sales and listings for our Company since that time...she is a multi-million dollar producer and joined the elite Million Dollar Club in 2003, her first full year in Real Estate sales. Marge has earned her Short Sales and Foreclosure Resource (SFR) Certification from NAR. In addition, Marge is continuing her education toward becoming a Graduate of the Real Estate Institute, has completed "At Home with Diversity", and is a Notary Public. Furthermore, she is very active in our community...graduate of Leadership Charlotte class of 2000, member of Chamber of Commerce, past President and District Director of Business & Professional Women, and actively involved in her church at Pilgrim United Church of Christ. Marge and Bud live in Deep Creek, a deed restricted subdivision of Punta Gorda. So it's a natural for Marge to specialize her real estate business in this lovely golf course community she calls home. Originally from Rhode Island until moving to FL 12 years ago, she considers SW Florida a lifestyle second to none. Come join Marge in Paradise!